These folks are trying to train their child to become a genius pumpkin carver of the future. 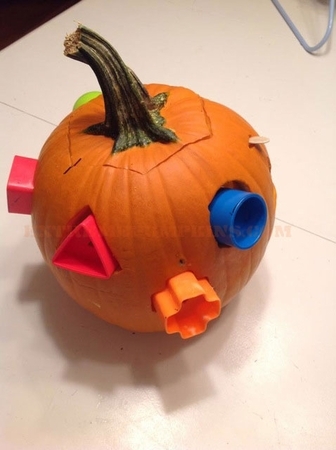 They created this hole and peg pumpkin so that their child could get used to making a pumpkin do what they want. It's a great idea. I wish I had done this with my child instead of just spanking them when they wouldn't carve pumpkins properly. Perhaps they would hate me less if I had used this method.